My name is Rocco. I am TERRIFIED of house flies. 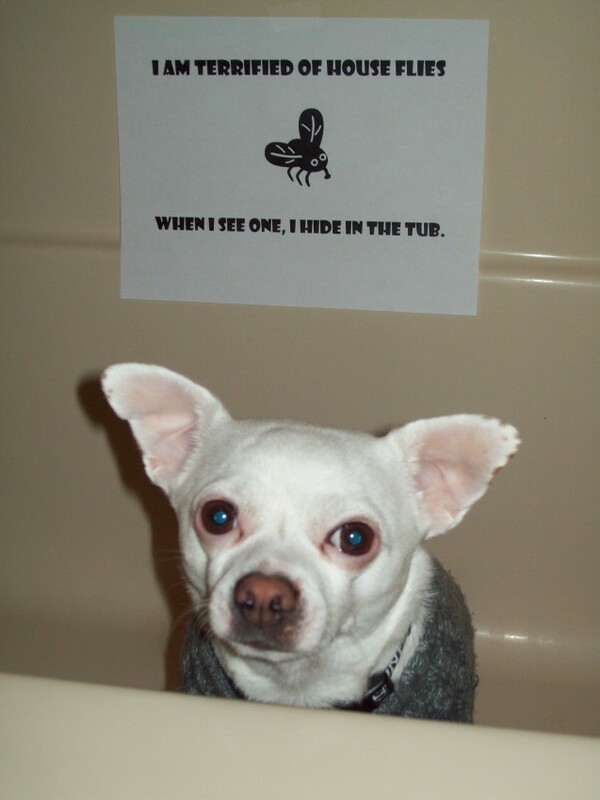 When I see one, I hide in the bathtub. 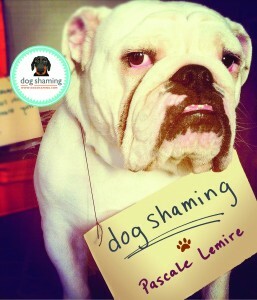 I am not ashamed, but my canine ancestors are. My baby tries to eat them…when he does catch one he gets this surprised look and spits it out! Poor baby! I had a Golden Lab that was afraid of anything that buzzed…now, I have a yellow lab – Maggie Mae – that will drive everyone in the room crazy until she gets the bug that is flying around. I think she would destroy a house trying to kill it! Oh, poor fella! I hate house flies too. You need to learn how to use the fly-swatter. That’s fun! What a cutie! My mini dachshund tries to catch them. My Jackie the Jack Russel Terrier can help you! She is very good at catching flies, but also eating them.. haha! Our dachshund eats them too. No wonder she’s stinky. I tell her she has fly breath. Mine does this too but I was told it was a defence mechanism against the warbler fly. My dog only does it with certain flies, if they don’t make a sound he’s fine it’s the ones that actually make noise that he freaks out about. Once I catch and show it to him (dead) he’s a lot happier. awww poor baby, your just to cute!